Non-combat drones are good for lots of stuff: carrying advertising banners, delivering beer and generally just freaking people out about privacy. And they make great dance partners, too. That is, at least, if you're Cirque du Soleil. 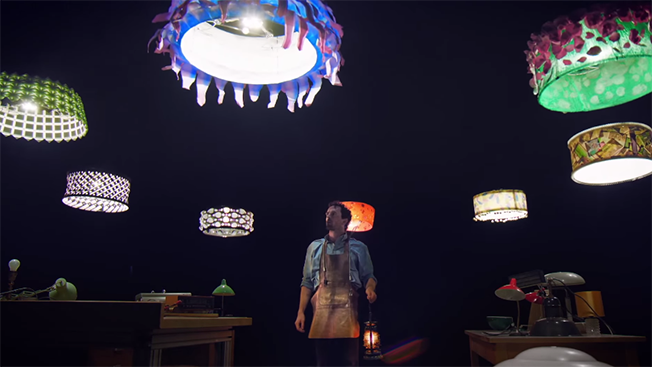 The performance troupe teamed up with the drone experts at engineering school ETH Zurich to create a short film about a tinker who accidentally trips the breaker in his building, then proceeds to have a whirl in the dark with a group of flying lampshades. The clip is drawing apt comparisons to The Sorcerer's Apprentice. It's beautifully shot and delightful to watch (especially in full-screen). Fast Company has more details on how ETH Zurich choreographed the drones, but suffice it to say—as the video notes at its end—there's no CGI involved. Someone should really tell Johnny Dronehunter about these benevolent machines, although he doesn't really seem like the type of person who's open to debate on the subject.